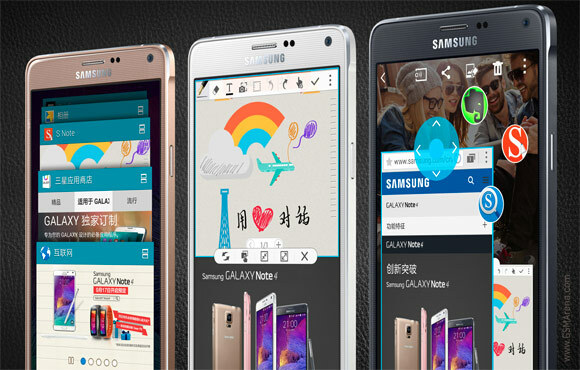 Samsung has unveiled three dual-SIM versions of its Galaxy Note 4 flagship. All three are China-centric, one will come to China Telecom, one to China Unicom and one is intended for SIM-free release. The first SIM on all three models boasts LTE – both TDD and FDD flavors (that is Chinese and international) – while the second SIM is 2G only (900/1800/1900). microSIM cards are used in all slots. The China Telecom and the SIM-free versions offer 2G and 3G CDMA connectivity on the first SIM. The carrier-free version of the phone supports all the TDD LTE bands needed by both China Telecom and China Unicom (one more actually) and most of the same FDD LTE bands for roaming. This means it should work on either carrier. The SIM-free version is priced CNY 5,400 ($880/€700), but we don’t have the prices of the other two. The single-SIM version goes for CNY 5,200. Samsung must launch dual sim version of note 5 in India. I will order it on first day of launch .